5foot 6 1/4 inches tall, weight 129 pounds (59kgs), chest 33 1/4 - 36 1/2 inches, medium complexion, blue eyes, light brown hair, trouble identifying colour. Thomas McNickel was born at Riverton, Southland, on 5 March 1892, the eldest son of his father John’s second marriage to Ann (nee Ford). John was born about 1841 in County Armagh, Northern Ireland, and had married his first wife Margurette Magdalene there (her surname unknown). The couple arrived at Lyttelton on board the “Pleiades” on 28 December 1872, where they settled for a time in Christchurch. Here four children, Eliza Jane, Alexander William, John (Jack) Hardie, and Ann were born. By 1886 the family were living in the Winton area, where John was running the Caledonian Hotel, and later the Commercial Hotel at Riverton. Margurette (known as Margaret) died at Winton on 6 September 1887, and was buried in the Winton Cemetery. John remarried in 1890 to Ann Ford (1880-1976), and had two further sons, Thomas, and his brother David Michael (1894-1963). 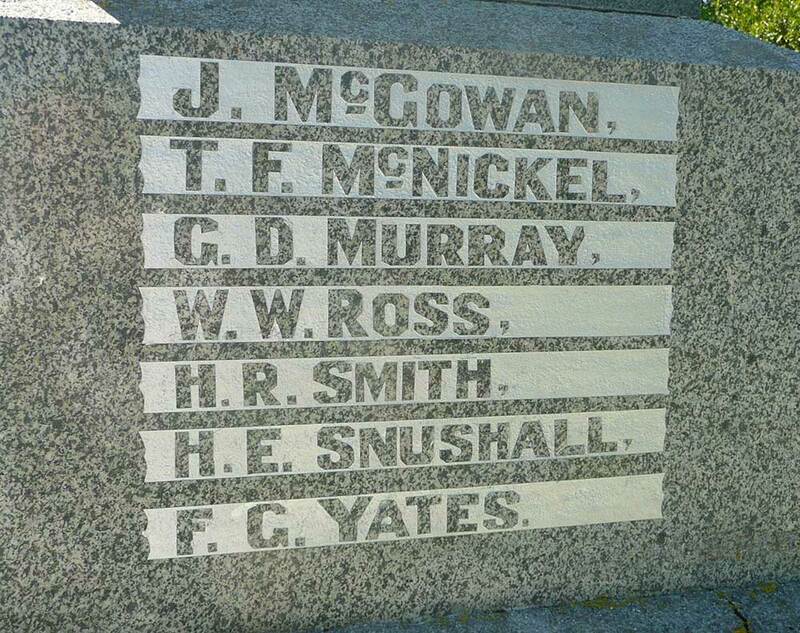 After John senior’s death on 24 October 1895, he was also buried in the Winton Cemetery. Ann remarried in 1902 to Harry Hodges (1877-1960), and they lived in Riverton before moving to Otahuhu in their later years. In 1915 Thomas was working as a teamster for Mr F.H. Smith at Waratah, Albury. On 19 April 1915 he enlisted for war service, nominating his brother Jack of Riverton, as his next of kin. He was single, aged 23 years, and of fairly small build, being 5 foot 6 ¼ inches tall, chest measuring 33 ¼ - 36 ½ inches, weighing 129 pounds (59kgs), medium complexion, blue eyes, light brown hair, of the Roman Catholic faith, and had a bit of trouble with his eyes identifying colours. 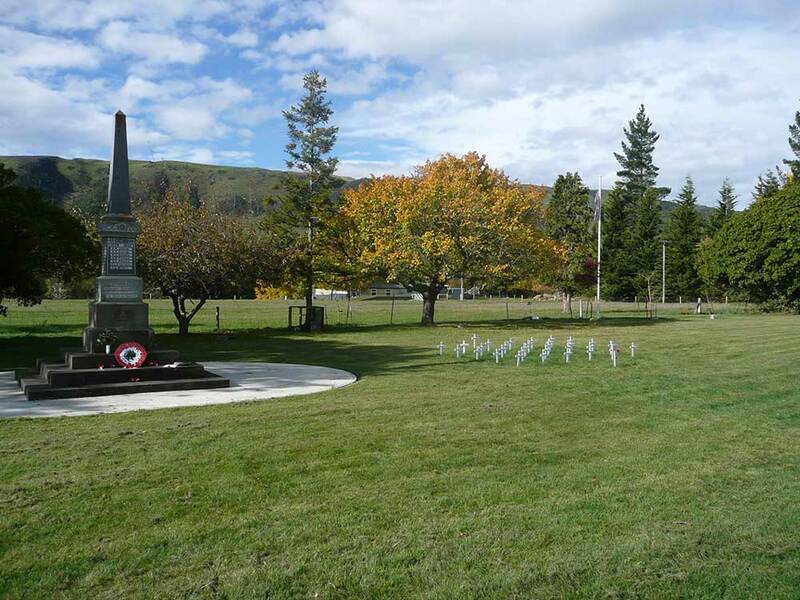 Posting followed to Trentham Camp where he joined B Company, Wellington Infantry Battalion. 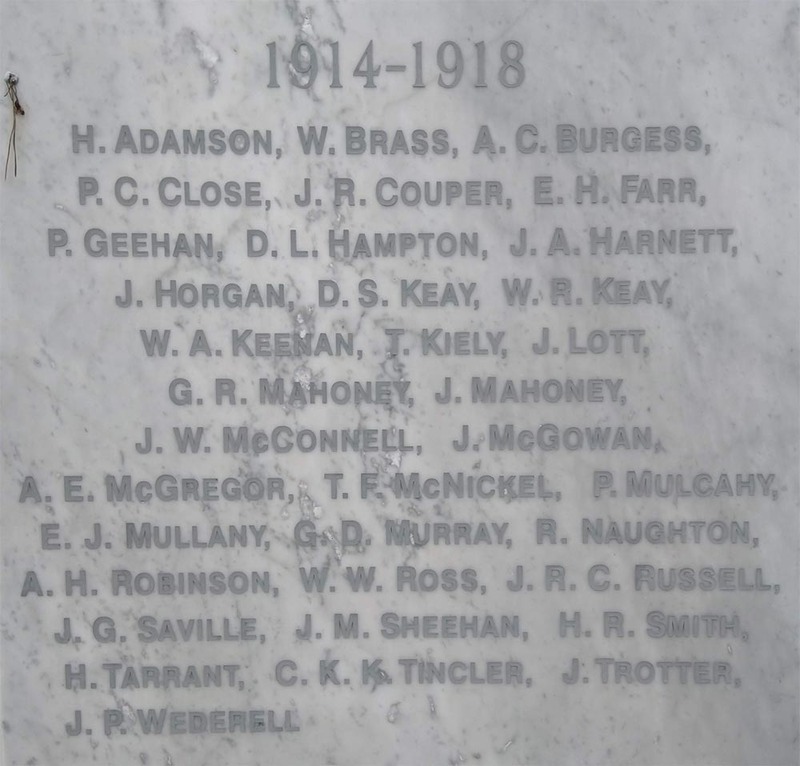 He was now one of the 55,000 men who were to train at Trentham. They lived in old bell tents first used in the Anglo/Zulu wars of 1879, as there was only two permanent buildings: the officer’s mess and the post office hut. Thirteen weeks of infantry training followed, learning drill, musketry, route marching, and bayonet fighting. The final week was spent on a march over the Rimutaka Hills to practice their training and dawn attacks. Once they were ready to embark on ships in Wellington Harbour, the men were issued with their full uniform which included the famous Wellington Battalion peaked hat with the four dents (the ‘lemon squeezer’). The Wellington’s commander Lieutenant-Colonel William Malone, who was to become one of the best known New Zealanders who fought at Gallipoli, had made the Battalion distinctive with these felt hats. On 14 August 1915, before boarding their respective transports, the 6th Reinforcements had a farewell parade along Wellington’s crowd lined Lampton Quay, led by the Trentham Camp Band. Private McNickel boarded HMNZT27 “Willochra”, and left for Suez, Egypt, in convoy with HMNZT28 “Tofua”. The two ships carried a total of 2363 persons, including some New Zealand nurses. They had the usual stops on the journey at Albany, Colombo and Aden, before passing through the Suez Canal, arriving at Alexandria on 19 September 1915. During the war the “Willochra” made nine trips carrying troops to Egypt and Britain, also return trips bringing wounded back to New Zealand. On arrival at Alexandria the troops boarded trains pulling so called carriages which were like small trucks. This was their transport to the tent camp at Zeitoun which was about six miles out of the city of Cairo. Here the troops carried out further training, day and night, which included route marches through the desert plus the other usual infantry training. Their stay at Zeitoun did not last very long, as by the end of September; the 6th Reinforcements arrived at Mudros to build up the badly depleted Wellingtons who had suffered badly on Gallipoli. The old hands looked down on these new arrivals, as one had to be a Main Body man in those days. By mid-October the powers that be had decided that evacuation of the Peninsula was the only option, and the Turks were being heavily reinforced, and more heavy weapons were arriving daily. On 8 November the Brigade once again embarked for the Peninsula where conditions were by now a little better, with the weather much cooler. The flies were gone, but the lice were still very active. They took up positions north of ANZAC Cove in the vicinity of Cheshire and Rhododendron Ridges, their trenches being so close to the Turkish trenches that they could hear each other talking. About this time the storms let up and conditions became much worse with heavy snow falls. It was only a few days after arriving that Private McNickel received a gunshot wound to the head. He was evacuated to Alexandria where, on November 21, was admitted to the 21st General Hospital. Thomas died there the next day, and was buried in the Alexandria (Chatby) Military & War Cemetery, the service taken by the Rev AD Sibley. For his war service Thomas had earned the 1914-1915 Star, British War Medal and Victory medal. These medals, along with a scroll and plaque, were later sent to his brother David, care of Mrs W. Smith, at Fairfield Street, Gore. All of Thomas’s brothers served in the forces at one time; 5817 Private Alexander William McNickel had earlier served with the South Island Battalion F Company 8th NZ Contingent in the South African War during 1902; 9/960 Private David Michael McNickel served in Egypt and Gallipoli with the Otago Mounted Rifles; and 12624 Private John (Jack) Hardie McNickel served in Egypt and Western Europe with the 2nd Battalion Wellington Regiment.